Top Black Friday Hacks | Everything You Need To Know!! So tomorrow, Friday 24th November 2017 is the biggest sale event of the year! It's Black Friday!! What is Black Friday? Black Friday is an informal name of the day following Thanksgiving in the US, which is regarded as the start of the Christmas shopping season. Most people prefer to shop online to avoid all the hustle and bustle of crowds, queuing up for hours before the shops open, people pushing and shoving, and people arguing over discounted gadgets and appliances etc. Make a list, you don't want to go straight into all the Black Friday deals without a list of what you want. When you are making your list think of everything. Obviously you want to think about yourself, but Christmas is around the corner so it is the perfect opportunity to buy Christmas presents, upcoming birthdays, tech stuff for the home, Christmas decorations, new clothes with all those Christmas parties coming up etc. Next thing you will want to do is put a budget next to each item, Black Friday is not a sale event if you're spending more money than you wanted to. 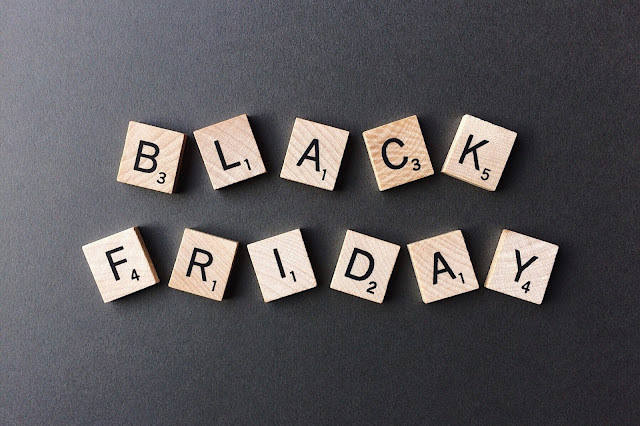 Follow all your favourite brands and social media influencers, this is because they will be working together to promote their Black Friday sales. Make sure you have signed up to their email lists as you will be notified straight away when a hot new deal has gone live. Signing up also means you can join reward clubs, which give you points which you can spend at a later date. Prep your shopping basket, go through all the websites that you want to shop with and get used to the website. Add the products that you want into your basket, the last thing you are going to want to do when the sale goes live is to look at the website and see that everything you wanted is sold out, because you spent too much time looking at everything you wanted to get. Earn cash back, Quidco and Topcashback are best friends!! You can save even more money as you will receive cash back on all your purchases, up to 20%! You are literally get paid to shop! Sign up to Amazon Prime, not only do you get your first 30 days free, which includes free next day delivery and Prime Video. Prime members get 30 minutes access to Amazon's lighting deals before they go live to everyone else. Download the Amazon app as you can set it up to give you a notification when a deal you are watching has gone live. Make sure your details are up to date! the worse thing is after you have been really quick to add your items in your basket. Is to go to the check out to find out your postal details are incorrect,your bank card details are out of date etc. By the time you have updated them your selected items could be gone!! So those are some of my Black Friday hacks, are you excited for Black Friday? What are you planning on buying?